Ciara has called on two greats for the perfect remix. 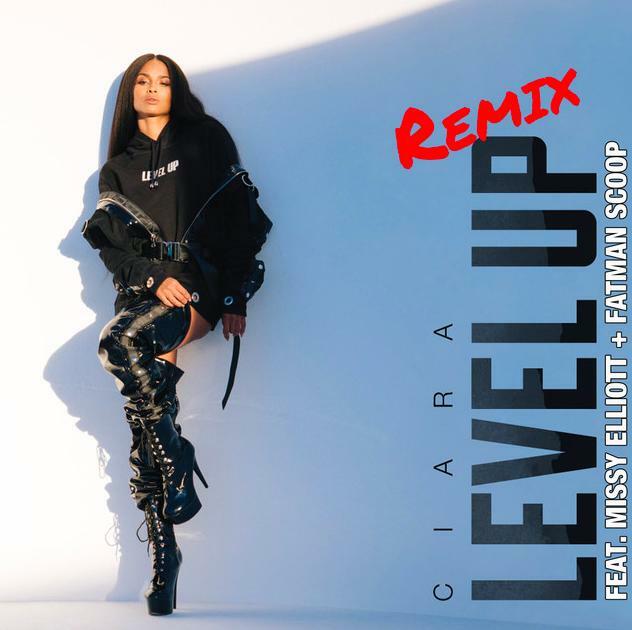 A couple weeks back Ciara popped back on the scene with a bangin' track that forced you to get up and "Level Up." The beat reminded us of her past catchy singles like "Goodies," "Oh" and may very well be the modern day "1, 2 Step." Now that the song has made its rounds and has created a bit of a wave in dance challenges (Drake's not the only one) she's now here to drop off an official remix with the likes of Missy Elliott and Fatman Scoop - blessed. Although the preview of the track is just a short snippet of the chorus (that we've now grown to love) we're very sure that once the full track arrives, it'll be something special. This isn't the first time the trio have worked together before, back in 2005 Missy released "Lose Control" with Cici and Scoop and to this day that track still bangs. Tinashe Treats Herself To Some Luxury On "Throw A Fit"
Ty Dolla $ign & TK Kravitz Serve Double Aces On RL Grime's "Take It Away"